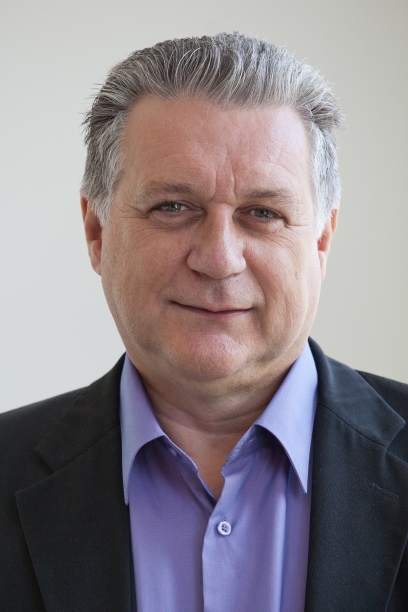 Paul Goossens, Vice President of Engineering Solutions at Maplesoft, has more than 20 years of experience in both engineering and software business management in engineering modelling solutions and high-performance real-time simulations. He has built a strong reputation as an expert in real-time applications, particularly in high-fidelity simulation of mechatronic systems for HIL applications, spending a good part of his career promoting model-based methodologies. In response to mounting concerns about climate change, many municipalities are working to increase the use of public transit while reducing carbon emissions. For many transit authorities, the way forward is creating a smarter fleet electrification strategy that incorporates more electric vehicles in their fleets, while keeping costs low. Although urban operators have the most to gain from electrification, expectations are high and fleet operators are facing pressure from several economic, environmental, and political factors. There has been a global movement towards the use of cleaner energy sources, and transportation is one of the major targets for upgrade. As cities across the world continue to increase in both population and density, public transportation plays a critical role in creating liveable cities by reducing the total number of vehicles operating in urban centres. An effective transit system also has the potential to drastically reduce carbon emissions, resulting in improved urban air quality, and sustaining a healthy environment for generations to come. 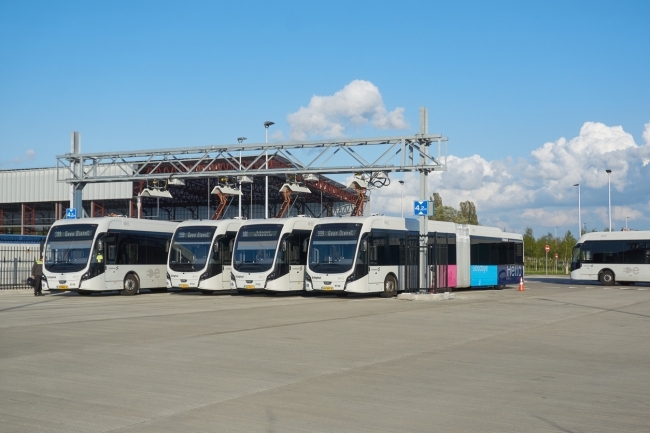 With proper planning, bus electrification can result in more efficient and less costly operation of transit fleets; however, the road to electrification is paved with many hurdles. There are a wide variety of factors that impact operational decisions, and all are necessary for transit operators to consider when moving forward with a new type of transit system. For example, transit operators need to know the uptime for an electric bus in comparison to a diesel-powered bus to plan schedules, and streamline operations. Weather is a major challenge, and many worry about how battery operated buses will fare in extreme weather, both in summer and winter months. Electric buses are required to maintain a charge, while causing minimal disruptions to service. Battery-powered buses have a more limited range than their diesel counterparts and the effects of changes in terrain within a transit area also need to be taken into consideration. One of the key success factors in deploying electric buses lies in the distribution of the charging infrastructure. Making sure that charging stations are correctly integrated into the proposed routes will help reduce range anxiety, optimize cost savings and give fleet operators confidence in their electrification strategy. Operators are also interested in other functional concerns of battery-electric buses such as carbon emission savings, equivalent diesel fuel savings, and the cost of charging the bus during typical usage. This all requires a detailed understanding of both the charging of batteries, and determining realistic energy consumption as the bus completes a specific transit route. Keeping track of and utilizing all information to optimize the complex decision making involved in bus electrification is not an easy feat. To ensure an effective implementation of electrified bus fleets, new model-based techniques can help provide transit authorities with important insight about their given electrification strategy – all before physical buses are purchased and deployed. Simulation allows for the analysis of electric bus behaviour under a variety of conditions, so issues can be identified before they occur, and operators can make informed decisions at a fraction of the cost of physical testing. From passenger loading times to peak electricity cost, all elements can be factored into the complex model that describes battery-electric bus behaviour. By combining virtual prototyping techniques, electrification expertise, and data about actual buses and bus routes, these new tools and services can analyse electric bus behaviour under a variety of conditions that allow transit authorities to identify electrification issues before they occur on the road. MapleSim Fleet Forward, a model-based tool developed in partnership between the National Research Council of Canada and Maplesoft, is an example. These tools offer individual transit authorities the opportunity to understand their specific transit situation in detail, and helps avoid the risks of incorrectly deploying buses, charging stations, and more. A full implementation of electrified bus fleets won’t happen overnight, but it is inevitable. By taking a model-based approach to electrification, public transit authorities can develop successful plans that will help them implement a more efficient, environmentally friendly, and low-risk strategy for utilizing electric bus technology.